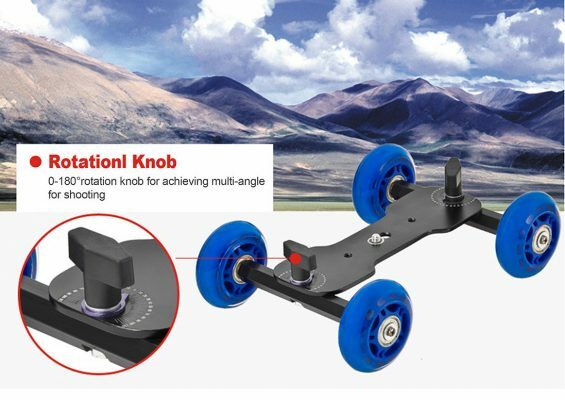 The 0 to 180 degree rotation knob makes the multi-angle shooting come true. 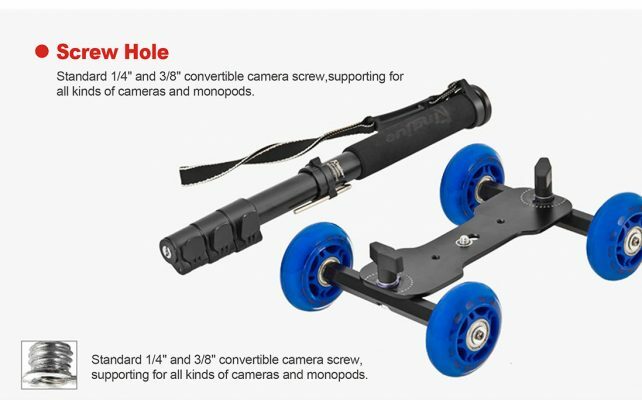 The standard dual 3/8″-1/4″ threaded mounting stud fit for any monopod. 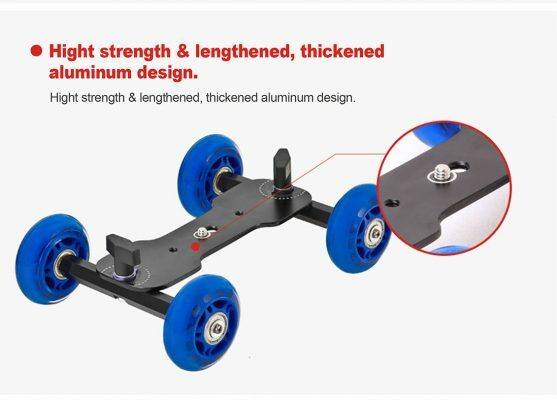 High strength extended and thickened aluminum. 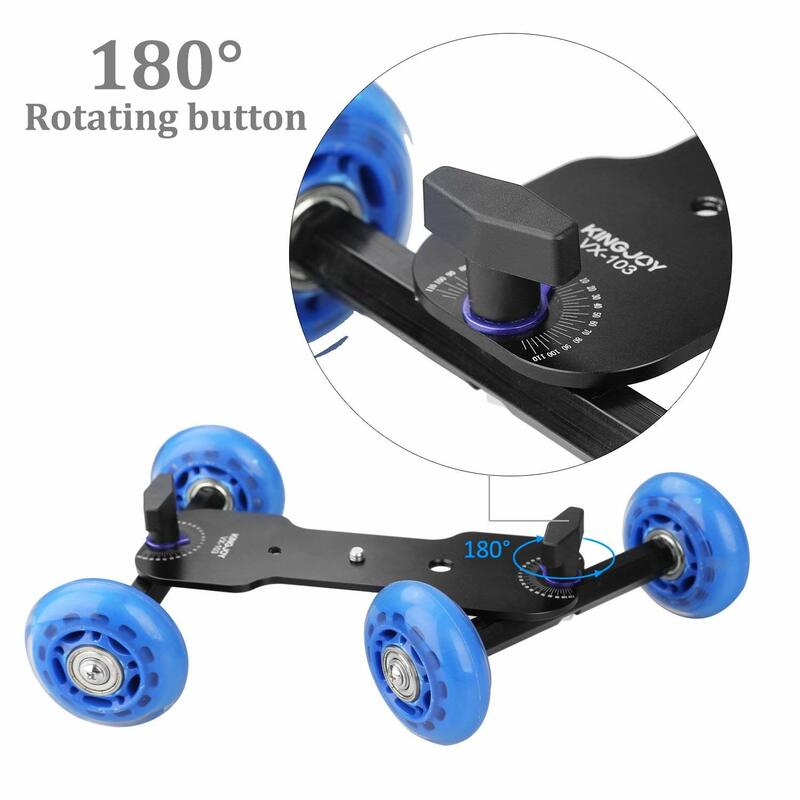 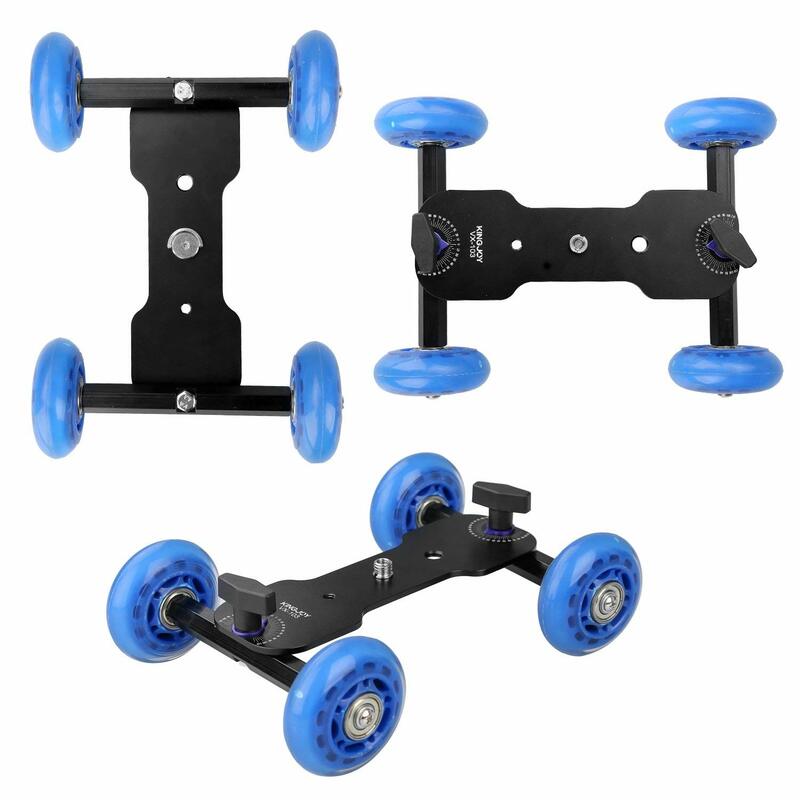 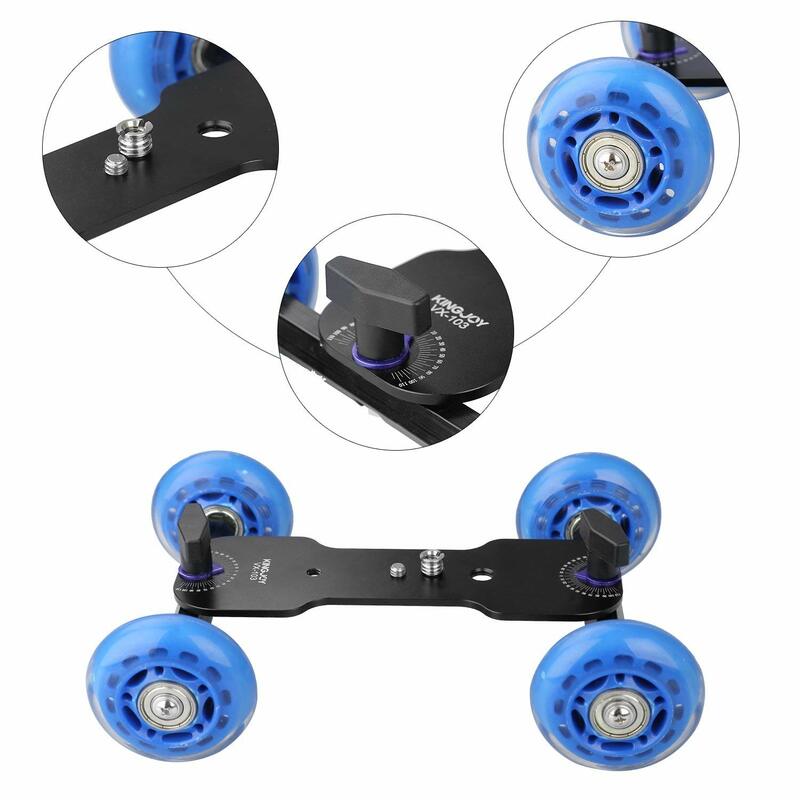 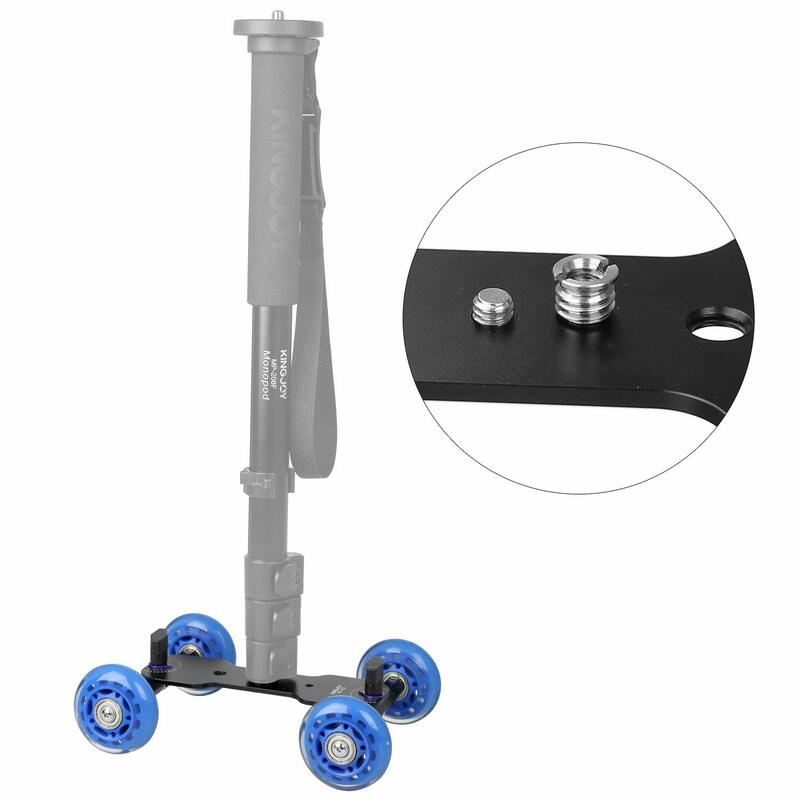 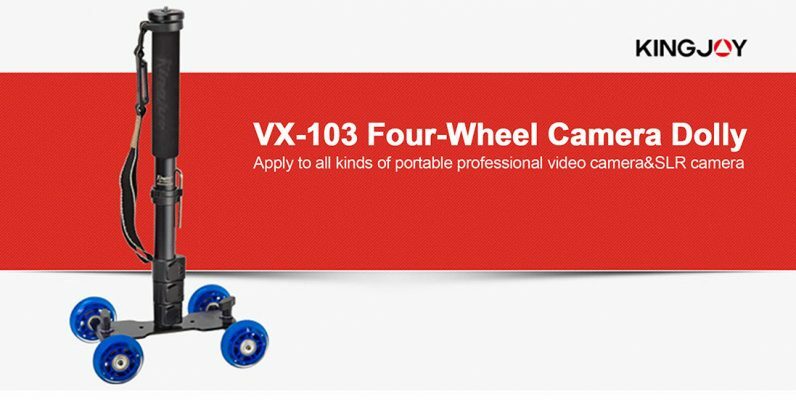 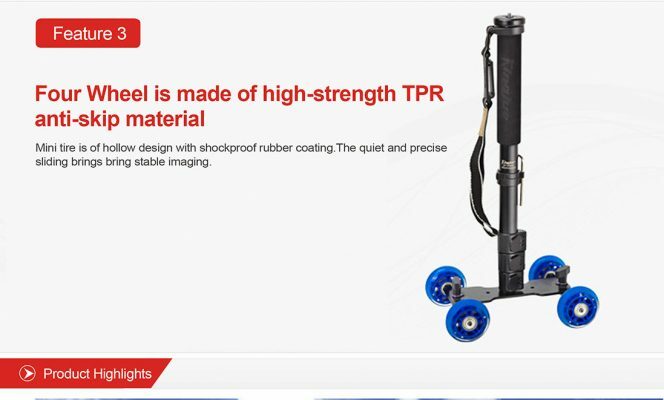 The Kingjoy VX-103 four-wheel dolly is made of high strength extended and thickened aluminum with the novel appearance. 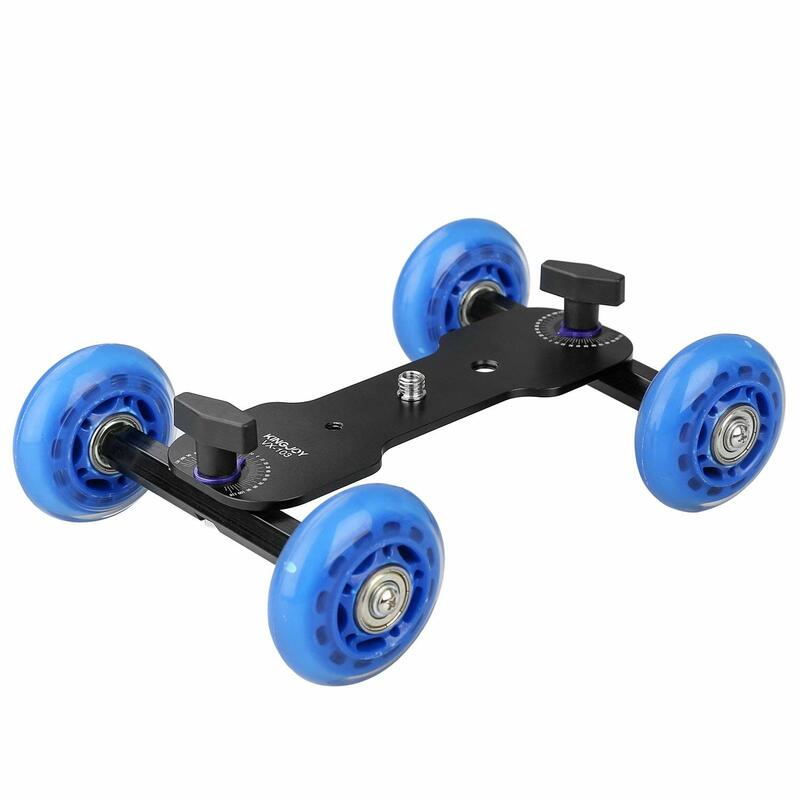 The dolly tyre with hollow out design is wrapped with shakeproof rubber, ultra-quiet. 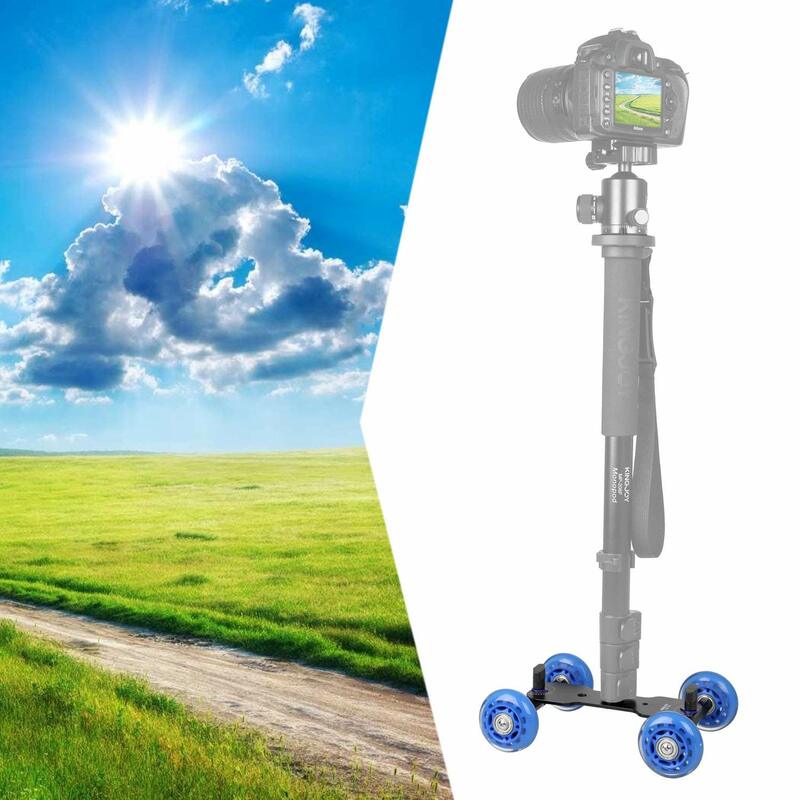 The precise movement without shaking makes the shooting stable. 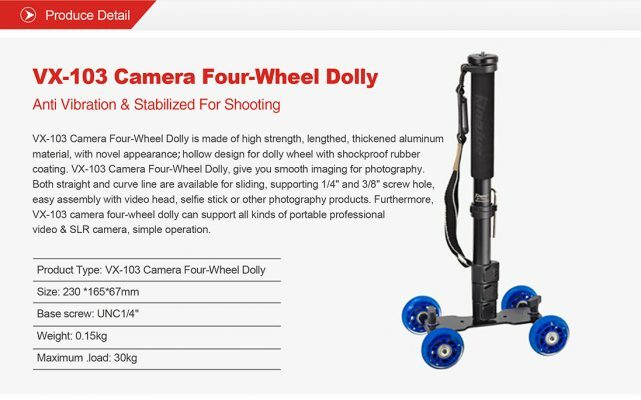 The dolly can change the route according to your need, straightly or curved, very flexible to move. 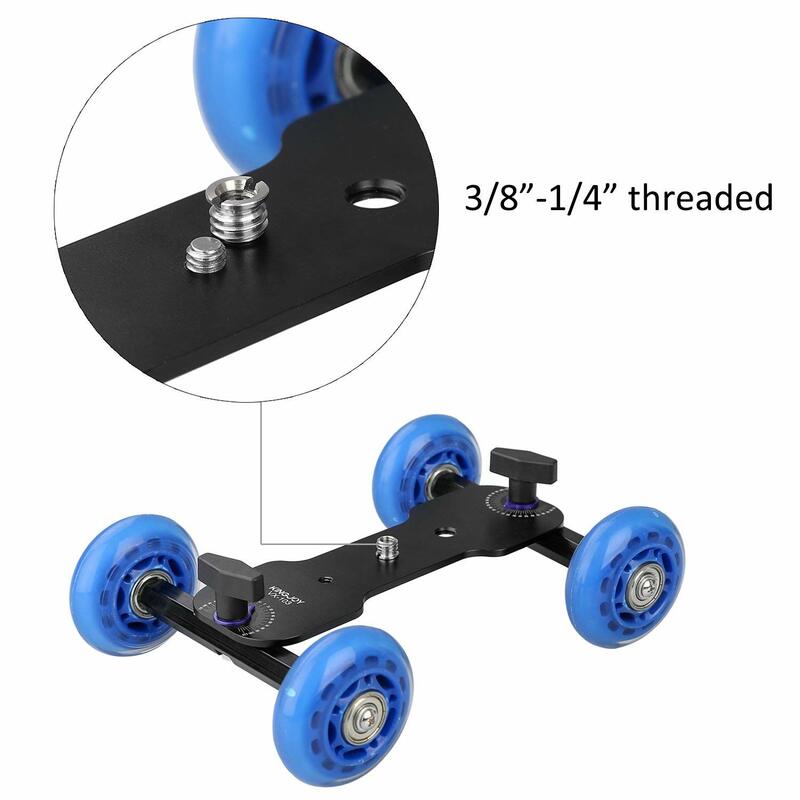 The dolly plate has the standard dual 1/4” and 3/8 threaded mounting stud to mount the bracket, mini head,hot shoe base and etc, which makes it convenient to equip with cameras,photography lights,LCD panel.VX-103 video dolly is fit for all kinds of light DSLR camera and it’s practical with simple operation. 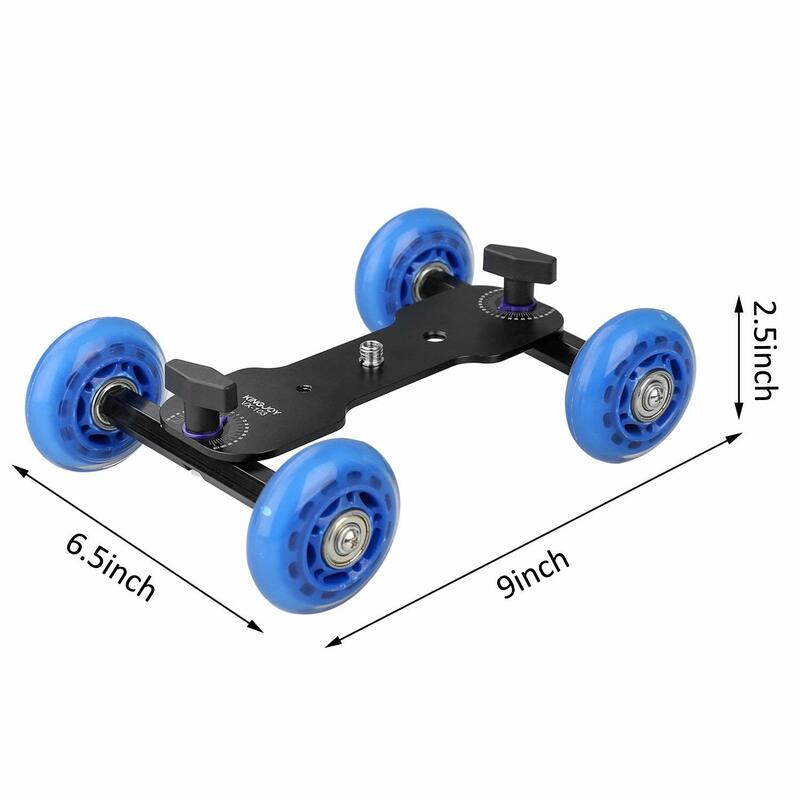 Extended Length: 230mm / 9.06"
Packaging Dimensions: 8.0 x 5.0 x 3.5"